Clare Au Young has been fascinated by the community aspect of trail running since she took part in her first race a year ago, and signed up to volunteer. Since then, she thinks all runners should take the time to man a check point. 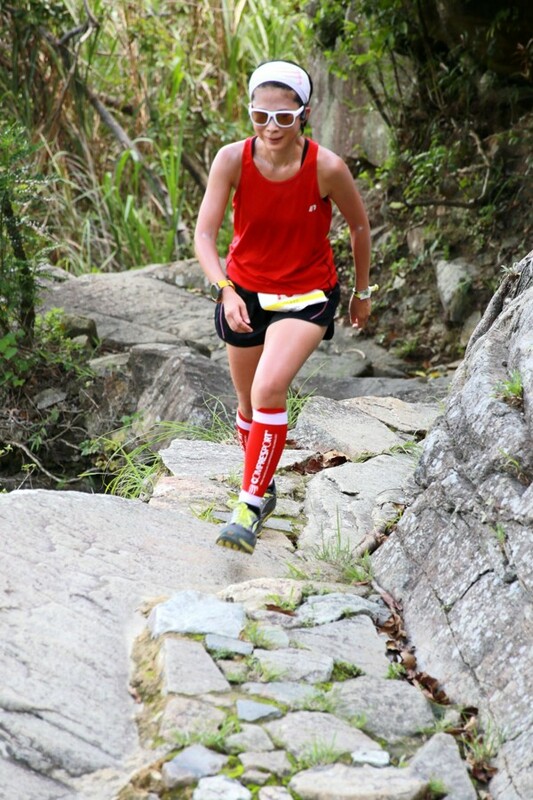 Au Young’s first volunteer experience was on the Trans-Lantau, where she intentionally picked a night shift so she could see how runners dealt with the dark. She quickly bonded with her fellow helpers and the time flew by as she watched the elites then the rest file through. “I can’t explain the thrill of watching passing runners and saying ‘turn left’. It was great,” she said. Now when she runs, she appreciates the race more and makes a point of saying thank you. “You appreciate that if they aren’t doing their job properly, you understand they are just doing it for fun, to help and they are volunteers,” she said. Au Young also thinks it helps to understand the logistics to setting up a race. Au Young decided to start running last December, but the monotony of road running began to wear her interest. She signed up to the Braemar Green Race 15 kilometre trail race. “I didn’t have expectations. I just thought it looked fun,” she said. “I thought I’d try it and once I did it I really enjoyed it. It was really wet and windy and I still enjoyed it. She got overexcited and started signing up to multiple races, along with her volunteering. This weekend she is running the Immortals Green Race, her third weekend out of six of consecutive races. This weekend’s race is 34km and will be the longest to date. It includes the beautiful but challenging Pat Sin Leng ridge. However, Au Young enjoys the up and down of steep hills. It is the catch water towards the end that worries her. As Hong Kong prepares for Super Typhoon Mangkhut it could be bad weather indeed. So bad that the event may be cancelled for safety, but time will tell.